UPDATE: Thanks to the interest, time and efforts of Webgizmos, these icons are now crisper, cleaner and have drop shadows to give them more depth. 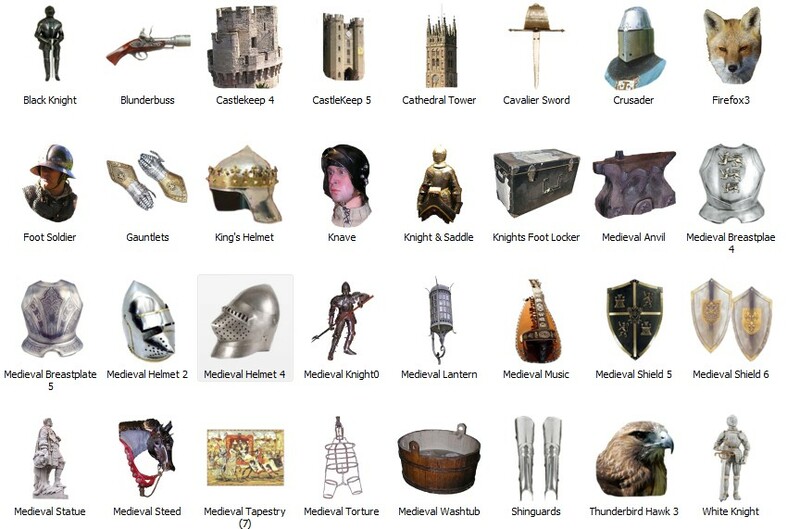 (Sir) starkers, All of your Medieval Packs here are a treat to view, and fun to use. Great job on the details of each! Thanx for taking the time to create and post. I also enjoy your Pirate Packs, and look forward to your next "offering". Thank you, I appreciate it a lot. Thanks a lot, Tarney, for the great comment... and hopefully it won't be too long before my next 'offering'.